My next instalment of edible Christmas gift ideas comes in the form of stocking fillers. 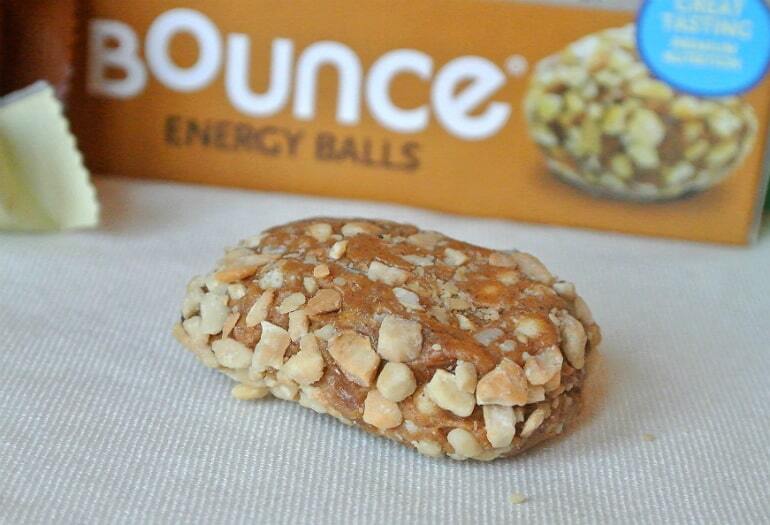 Chocolate and sweets are obvious contenders, so I was on the hunt for something a little different when I stumbled across Bounce. 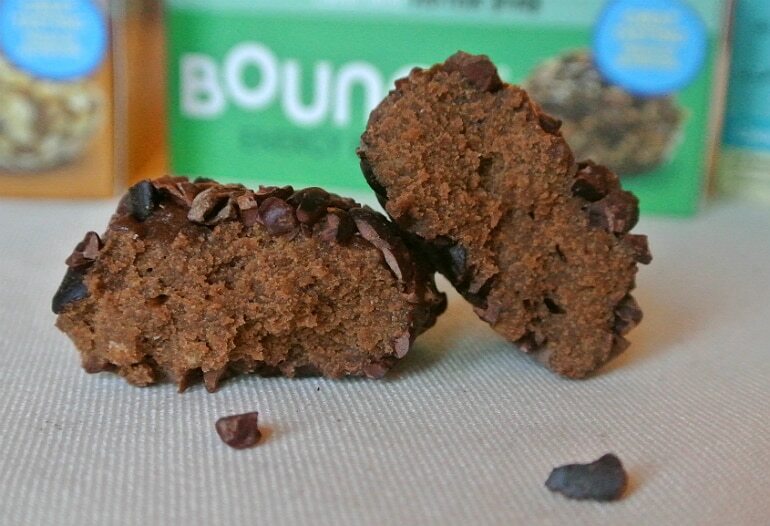 These guys make natural, healthy, protein packed snacks and whilst confectionery is all good (duh!) these make for something a little more interesting from Santa! 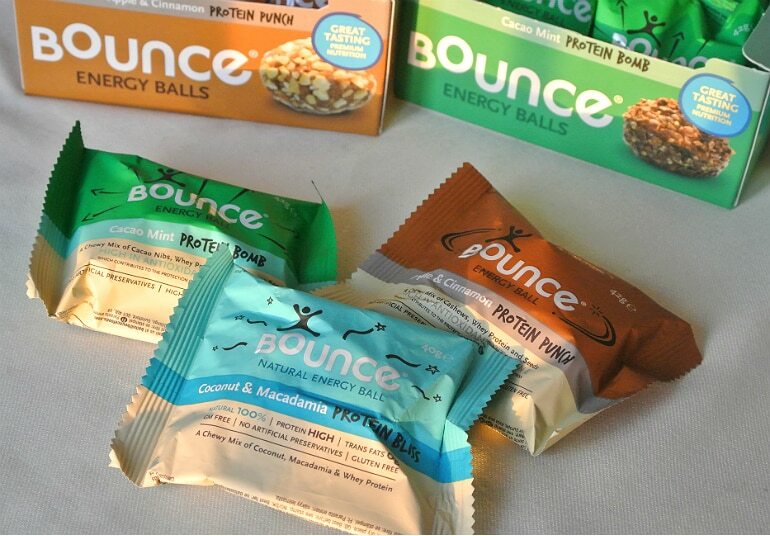 Bounce were nice enough to satisfy my curiosity and sent me some of their newest flavours to check out. You can buy individual balls or larger packs of 12. The singles are stocked at Boots, Holland & Barrett and some Supermarkets (full list here) and retail at around £1.75 a ball. If you’ve got a few stockings to fill (or fancy holding back some for yourself!) there are also packs of 12 available. 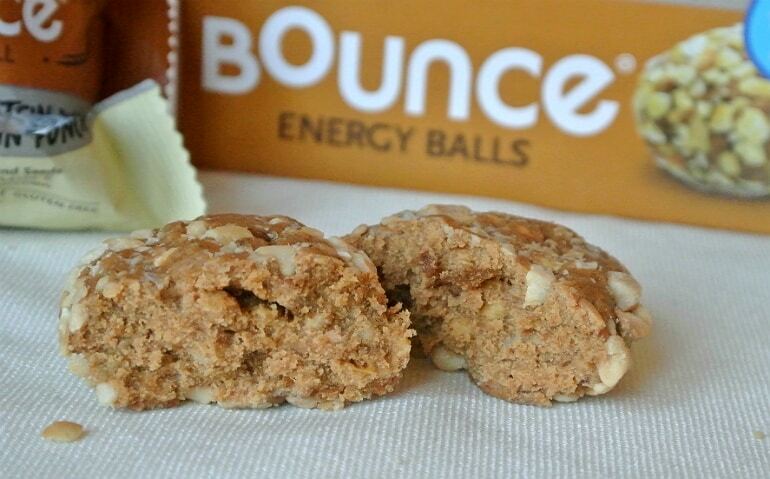 So they’re high protein, all natural balls of goodness… but do they actually taste good?! 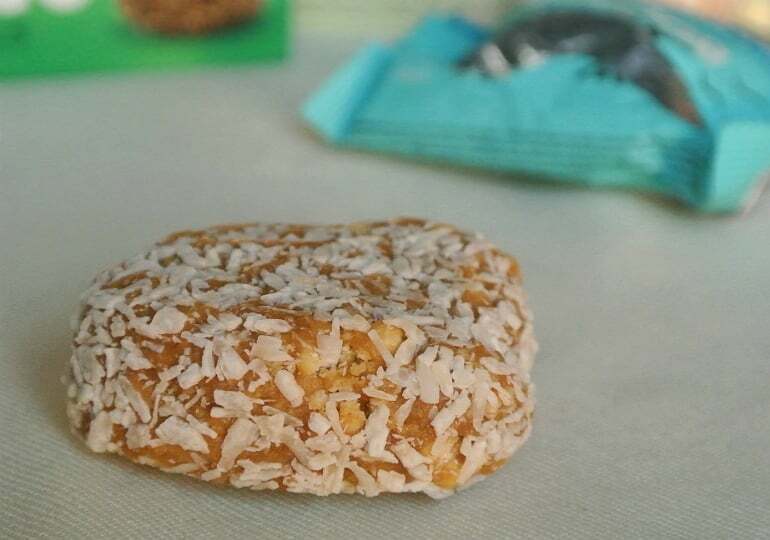 The Coconut & Macadamia ball contains 9g of protein, and like most of the flavours is gluten free and veggie friendly. I love that this one looks like a little snowball! It’s got a firm bite and a lovely, almost nougat texture. Really tasty and I liked that it was quite chewy, it means it’s not a snack that’s gone in a flash (I hate when that happens). Apple & Cinnamon is a suitably festive flavour and bloody delicious, my favourite one definitely! 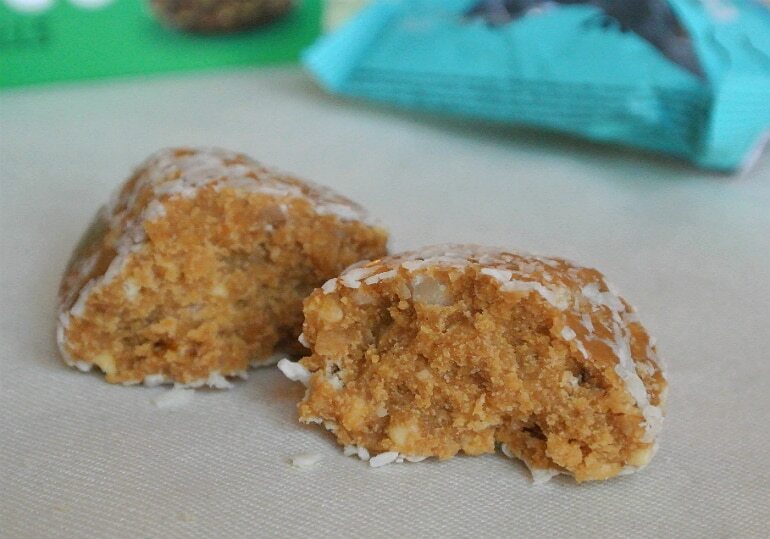 Rolled in cashews it’s crunchy and naturally sweet. This one gets its ‘protein punch’ from a mixture of whey and pea proteins. Despite looking the most indulgent with its chocolatey appearance, the Mint Cacao ball is definitely the ‘healthiest’ tasting of the flavours I was sent. 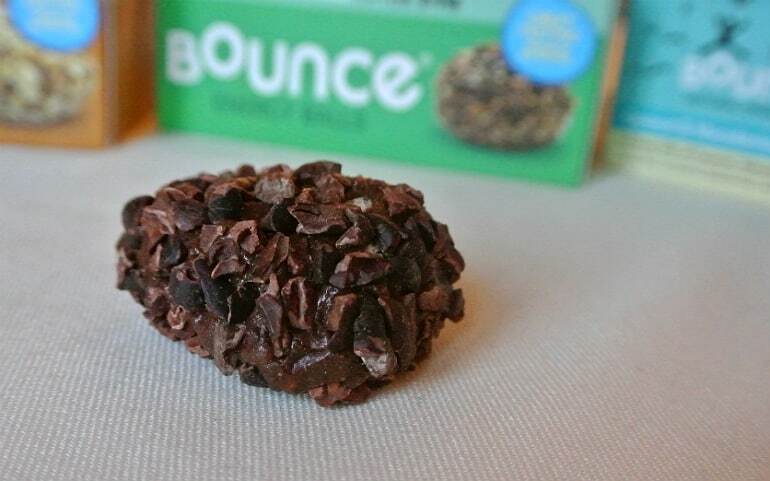 This one has lots of healthy fats and complex carbs with a mix of cacao nibs, sunflower seeds and rice bran. Quite an earthy taste despite the mint. I’ve been eating these as a breakfast-on-the-go for the last week and I’m actually really impressed with how filling they are. I think these are an original stocking filler and a really quality product. 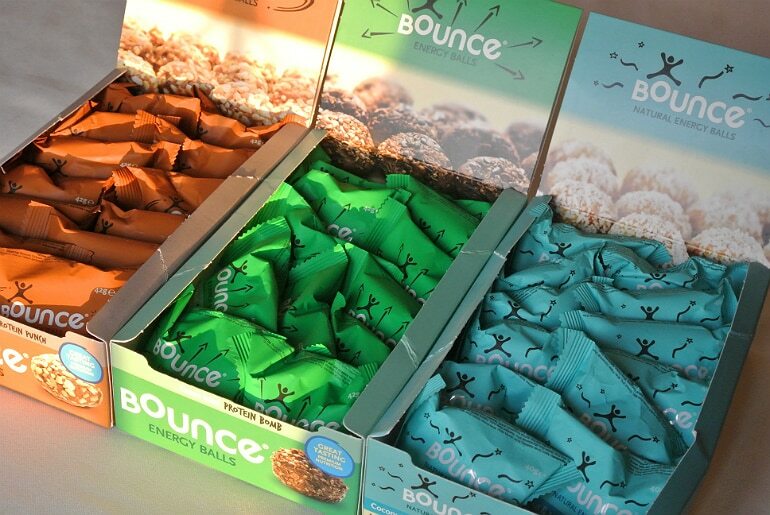 The larger boxes would even make a great gift for a fitness fanatic!